We have developed state-of-the-art storage facility, laced with all the necessary amenities, required for maintaining high-quality standards. The product basket we deliver is available in Moradabad(India) and across the nearby markets ensuring complete customer satisfaction. 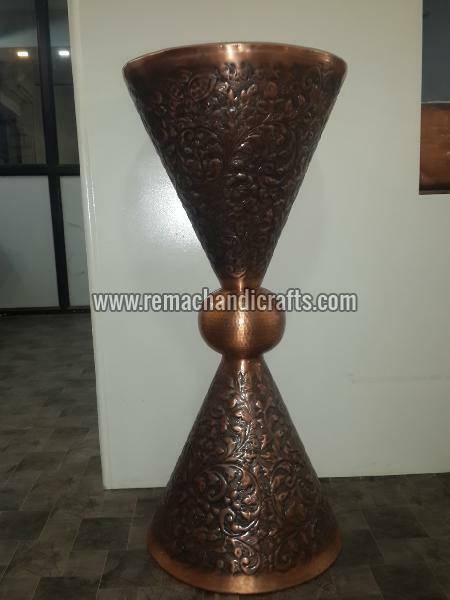 Sink Material - Copper Made of solid 16-gauge copper. Overall dimensions - 16" diameter x 35" H ( ± 1/2"). Interior dimensions - 14" diameter ( ± 1/2"). Basin is 6" deep ( ± 1/2"). Flat 1" rim. 1-1/2" drain size.